This is the very first album of the fine Gala Concert triolgy. 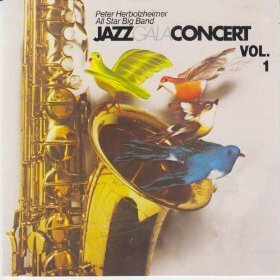 And it is featuring the skillfully assambledAll Star Big Band from Peter Herbolzheimer. If you like the vivid and athmospheric concert feeling, this live recording sessions will take you apart. Musical milestones in Jazz history like "Giant Steps" and "Stormy Monday" can be heard, as well as some great Herbolzheimer compositions.